He has represented clients at countless bond hearings, probable cause hearings, probation revocations, motions to suppress, bench trials, and he has handled well over 50 jury trials to verdict. In 2005, Attorney Henrickson, along with Theo Sereebutra, founded Henrickson & Sereebutra. 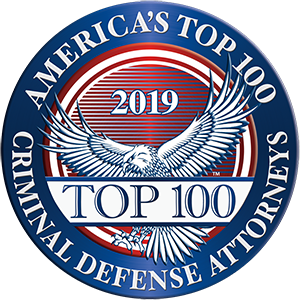 Together, the experienced prosecutors realized the need for meticulous, aggressive, high quality criminal defense representation. The pair was confident that with their unique experience as former prosecutors, they were in an advantageous position to better defend those individuals facing criminal charges. Since its inception, Henrickson & Sereebutra has grown dramatically into a well-respected and sought out law firm for those accused of committing crimes in Georgia. In 2012, the firm opened its second office in Marietta to better serve their clientele. In 2000, Attorney Henrickson began working for the Tallapoosa Judicial Circuit as an Assistant District Attorney. While serving as a prosecutor, he handled a wide variety of criminal charges including both misdemeanor and felony offenses. Between 2001 and 2002, Attorney Henrickson was responsible for handling all of the vehicular homicide and serious injury by vehicle. Today, he uses this experience when defending clients who are facing serious DUI and vehicular homicide charges. Attorney Henrickson has written numerous legal briefs over the course of his prestigious career, and he has argued successfully before the Georgia Supreme Court and the Georgia Court of Appeals. Furthermore, he is licensed to practice law in all of Georgia's state and federal courts. University of Pittsburgh School of Law, Pittsburgh, Pennsylvania, 1999 J.D. University of Nebraska at Kearney, Kearney, Nebraska, 1995 B.A.